Lance (Paul Blackthorne) calls the Arrow (Stephen Amell) when another archer appears in town and starts skewering businessmen. Diggle (David Ramsey) uses A.R.G.U.S. 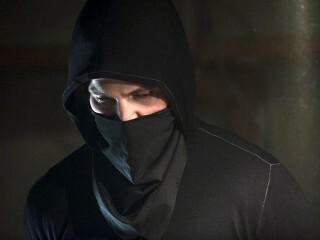 to find the archer's identity; he is a man named Simon Lacroix (guest star Matt Ward), who goes by the codename Komodo. However, the team hits a rough patch with the mission and gets help from a surprising source - Laurel (Katie Cassidy). Meanwhile, Oliver begins to worry that he hasn't heard from Thea (Willa Holland), which forces Roy (Colton Haynes) to tell him the truth about why she left town. Ray Palmer (Brandon Routh) pursues Felicity (Emily Bett Rickards). In the flashback, Maseo (guest star Karl Yune) tells Oliver that Amanda Waller has ordered his first kill. As Oliver looks down the scope of the rifle, he sees the target is his best friend, Tommy (guest star Colin Donnell). Despite her promise to her sister, Laurel debates sharing a secret about Sara (Caity Lotz) with Lance.